We recommend the Snapper Variable Speed Self-Propelled Lawn Mower with Ninja Mulching Blade as one of the best mulching mower options for the average lawn. This self-propelled model does most of the work for you, with its rear wheel drive motor that provides excellent traction and maneuverability. There are other great mulching mowers on the market; read on to see which mower might serve you best. How Do Mulching Mowers Work? If you’re searching for a new mower, you’ve likely heard the term “mulching mower”. Although mulching mowers offer the same capabilities of a regular gas push, electric push, drive control, or propelled lawn mower, they do provide an additional benefit. Rather than having to bag up your grass clippings or rake after you’re done mowing, a mulching mower is specifically designed to cut grass clippings into smaller pieces and spread them to create a mulch on your lawn. The mulching setting will be an option on your mower, so you can choose to use it or not. If you engage the mulching setting, the special curved blade will work to mulch your grass. This blade has several sharp edges that work to cut grass clippings into several pieces as they’re moved underneath the mower. The deck on a mulching mower is usually higher than on regular mowers, which allows more airflow underneath the mower. This extra space and air is what allows the mulched grass clippings to spread onto the grass, rather than in clumps toward the side, like side-discharge mowers (source). Push mowers. Push mowers can be powered by gas or electricity. Several are now coming standard with 3-in-1 capabilities, which means that they allow side-discharge, bagging, and mulching. 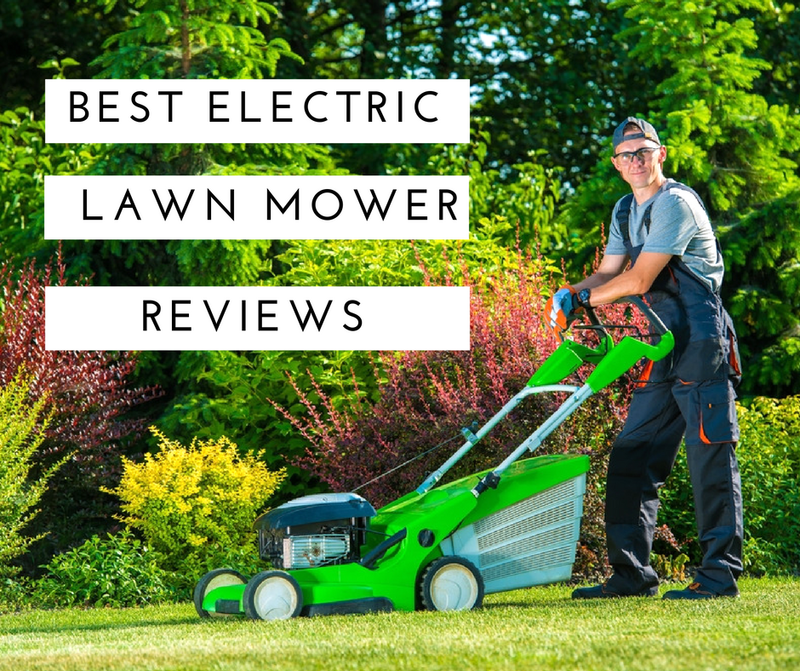 These mowers are usually on the lower end of price range for mowers, with electric mowers costing a bit more than gas mowers. Self-propelled mowers. Self-propelled mowers are walk-behind mowers, like push mowers, that use their motors to propel themselves forward. All you need to do is guide it in the right direction. Self-propelled mowers can have mulching capabilities, and also can be either electric or gas powered. They typically cost more than push mowers. Lawn tractors. Lawn tractors are ride-on mowers that are known for all of the helpful things they can do for a lawn, including mulching. Most lawn tractors are gas-powered, and cost significantly more than walk-behind mowers. Zero turn radius ride-ons. A higher-cost ride-on mower, the zero turn radius (ZTR) mower allows for extreme maneuverability and control. Many zero turn radius models are equipped with a mulching option (source). What are the Benefits of Using a Mulching Mower? Mulching mowers offer benefits over other mowers without the mulching option. Possibly the most obvious benefit is not having to clean up or rake grass after mowing, because your mower becomes a grass recycler! For large yards, raking or bagging up grass clippings can turn a quick mow into an hours-long chore. Mulching mowers often come with a bagging option, in addition to mulching, so your mower bags clippings for you, if needed. But, in terms of your lawn health, mulching is an excellent way to keep your lawn healthy and green for longer periods of time. According to Honda, grass clippings contain about 85% water and 5% nitrogen. This mix is the perfect fertilizer for grass, and can actually equate to about 25% of the fertilizer your lawn needs. Mulching your grass clippings can encourage your grass to spread and grow, filling in bare spots and bringing to life the dreaded brown spots. By helping the soil retain moisture, mulched grass clippings can also help your lawn require less frequent watering, and prevent it from drying out in the sun. The environment will also benefit from you mulching your grass clippings with a mulching mower. Not only will you save money if you live in an area that charges fees for disposing of your yard waste, but you’ll keep grass clippings out of landfills. Grass clippings account for the majority of lawn waste that ends up in landfills every year. If you want to make the most out of your mulching mower purchase, there are a few things you can do to make sure you’re using it properly and keeping it in top shape for years to come. Horizon Online suggests mulching your grass at least once every 7 days, and later in the morning after dew dries. Doing so helps avoid large clumps in your lawn, which can make it difficult for your mower to mulch it properly. You may also want to cut your grass a bit higher than you normally would, to allow for more airflow and better spread of your mulched grass on the lawn. You should also clean under your mower’s deck after every use or use a washout port on the cutting deck. This will prevent clumped-up grass debris from clogging up your blades and making mulching ineffective. Aside from mulching grass clippings, you may also be able to use your mulching mower to mulch leaves during the fall. According to Popular Mechanics, leaves are rich in carbon and, when mixed with nitrogen-rich grass clippings as the mower mulches, they create a perfect compost for your lawn. If you plan to use your mower for mulching leaves, do so when the leaves are somewhat dry to moist, rather than wet. You may have to go over the lawn a couple of times for thorough mulching. The Snapper Variable Speed Self-Propelled Lawn Mower with Ninja Mulching Blade is our recommendation for an excellent mulching mower. This rear wheel drive, self-propelled lawn mower is one of the best for those wanting the easiest, exertion-free mowing experience possible. Rear wheel drive gives this mower excellent traction, while the motor helps propel the mower forward. Simply guide the mower where you need it to go and it does the rest for you. You can choose from 7 cutting heights, and use the mulching setting when desired. The Ninja mulching blade will cut your grass with 6 cutting surfaces. When you use the mulching setting, consider raising your deck height more than usual to allow for extra air circulation so your mulched grass spreads well. To keep your mulching mower in excellent shape, clean and check the blades after each use. Look for signs of rust, bending, or breakage, and contact your manufacturer immediately for replacements, if needed. Store your mower in a dry location when not in use, like a shed or under a mower cover.